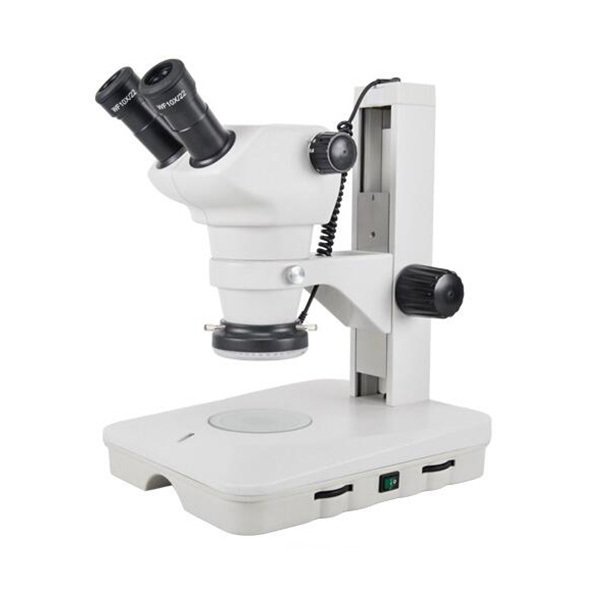 The SC-JSZ6 zoom stereo microscope is specially intended for those research staffs and QC controllers. Excellent optical performance, keeping object always in focus during whole zooming travel. The standard 117mm long working distance allowing easy handing of the sample. and to ensure large depth of field of the flat-field image. • Ergonomic design reduces fatigue resulting from prolonged observation. the average life expectancy up to 6000 hours. • SC-JSZ6 is Industrial inspection stereo microscope designed for the industrial field testing. • Full range of eyepieces and auxiliary objective lens, rich accessories are available to meet the expansion of various functions, especially for assembly and testing, as well as teaching and basic research industries. This polisher is of single disc and suitable for carrying out pre-grinding. normal grinding and polishing against metallographic specimens. Since the machine has two speed, 300rpm and 600rpm,which favors the machine with wide applications. The machine is equipped with cooling system that can cool down the specimen during pre-grinding so as to prevent overheating and damaging the metallographic structure . It is convenient and on the safe side .It is an ideal option for the lab .of factories, science and research institutions and universities. Metallographic specimen mounting presses suitable for the thermo-hardening plastic pressing of the small metallographic specimen which is not idiomorphic or hard to take.After forming, it will be very easy to process the grinding, polishing of the specimen and it is also convenient to process measuring of metallographic structure under Metallographic Microscope. Metallographic specimen cutting machine can be used to cut various metal and non-metal materials so as to get specimen and observe the metallographic or lithofacies structure. It has cooling system so as to clear up the heat produced during cutting and avoid to burn the metallographic or lithofacies structure of specimen because of superheat. This machine features easy operation and reliable safety. It is the necessary specimen preparing instrument for using in factories, scientific research institutes and laboratories of colleges. Belt surface grinding machine is of new generation design, made according to the international standard and advanced process technique. It adopts sand belt to grind and polish the specimen. The different belts can be changed swiftly. This machine can be used to replace the disc grinder and manual type abrasive paper grinding. It only takes 1-2 minutes to for each belt to finish the operation. For the grinding of spectroscopy specimen, it is very economic to save time, labor and abrasive paper. This machine can be widely used in laboratories, researching institutes and factories. This device is used to identify and analyze the organizational structure of all kinds of metals and alloy materials. It can be widely used in factories and laboratories to verify the quality of casting, to inspect the raw material and analyze the metallographic organization of material after treatment, and to do some research work for surface spraying etc. This equipment can be equipped with photographic device to proceed photomicrography. Looking for ideal Metaalographic Stereo Microscope Price Manufacturer & supplier ? We have a wide selection at great prices to help you get creative. All the Excellent Optical Performance Stereo Microscope are quality guaranteed. We are China Origin Factory of Stereo Microscope Microscope. If you have any question, please feel free to contact us.